Normal skin is radiant and glowing in appearance; dry skin by contrast is dull and may be rough and prone to cracks. From the moment we are born our skin loses moisture and as we grow older we notice our skin gets more dry and prone to roughness or cracking. The extent of our dryness varies with age and genetic disposition. 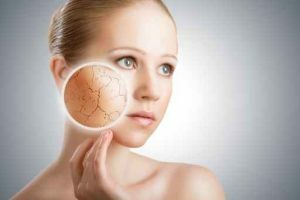 Other factors that cause dry skin are exposure to sun and wind, the cold, air-conditioning, hot spas or chemical exposure, many medical treatments and medicines also can cause dry skin. Dry skin may cause itching and be a precursor to skin conditions such as dermatitis and eczema. When dry skin cracks, germs can get in through the skin. Once inside, germs can cause an infection. Red, sore spots on the skin may be an early sign of an infection. The main aim of treatment is to bring moisture to the skin and lock it in. This will provide relief and restore radiance to the skin and improve its appearance. For dry skin the number one objective it to bring moisture to the skin and lock it in, SKLEER All in One Skin Corrective does just that. The combination of essential oils in SKLEER: Eucalyptus, Tea Tree, Caraway, Cinnamon and Cardamom work synergistically. The proprietary gel formula takes the potent essential oils deep into the skin to optimise healing and take moisture into the lower levels. The therapeutic power of SKLEER lies in the fact that the gel takes the natural ingredients to the lower levels of the skin for enhanced penetration and effectiveness. The SKLEER All in One Skin Corrective gel then forms a protective layer on the skin to help lock moisture in and hence creates a perfect environment for the skin to regenerate and restore itself. For dry skin, apply to the affected area morning and night. Can be used under make-up or other cosmetic products. 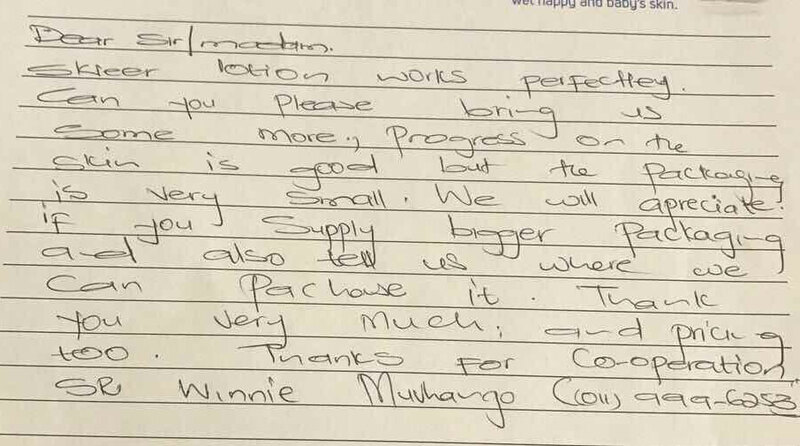 We have many testimonials from customers who have found relief from dry skin as you can see below.